Author support is a new strategic priority for many publishers, as open access (OA) business models move to the center, as competition for papers intensifies, and as author expectations evolve to include community connections via online services. Not only is Remarq a substantial tool to support authors by keeping articles relevant, maintaining the connection with community, and providing authors new levels of prominence and interaction, it is also easy to implement and manage, with most functions done automatically, while others are presented via highly usable interfaces requiring just a few clicks to complete tasks like registration, moderation, or collaboration. 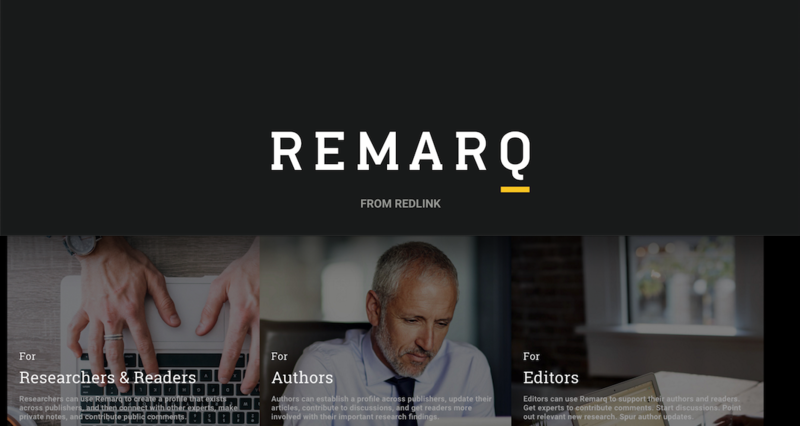 If you want to set your journals program apart by enhancing author support while increasing reader engagement, please let us know by contacting us at hello@remarqable.com.